A few months ago on the way to Dogfest, Husband and I were chatting about what the heck we were going to do about feeding the hounds while we were on holiday. We feed them complete Raw, but we couldn’t exactly ask the B&B or hotel to put a huge slot in the freezer aside for us. Little did we know, our question would soon be answered. 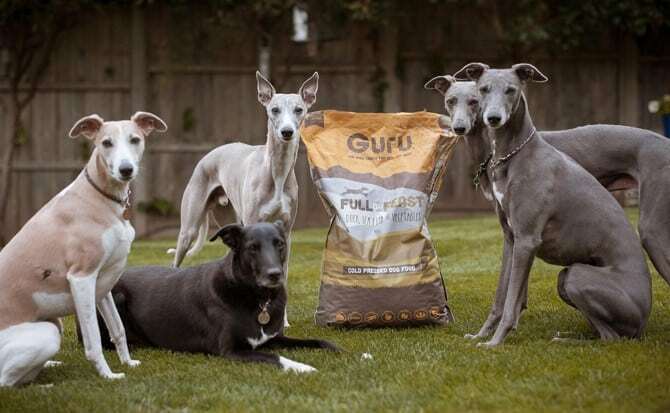 I spotted the Guru Pet Food stand at Dog Fest, if you have ever visited them, you know it’s difficult to miss! I follow these guys on Twitter & Instagram and they are honestly the coolest. I have never seen a pet food brand interact with their followers as much as they do. So over we trotted to say hello, and I was greeted with an overwhelming amount of enthusiasm which was delivered in a thick northern twang. 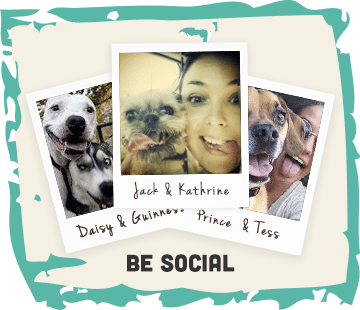 Turns out they knew the Whippet Snippets Crew from social media (does that make us famous)? I mentioned the food conversation to Lisa and she was super excited to tell me that a lot of her customers are Raw feeders….eh? 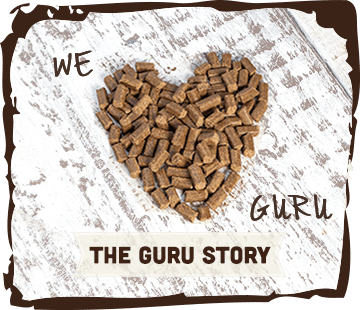 Guru is cold pressed, which means it retains way more nutrients, and is much closer to a dogs natural diet than standard kibble. The thing that sold me was when she showed me a glass of water with Guru, and a glass of water with kibble. 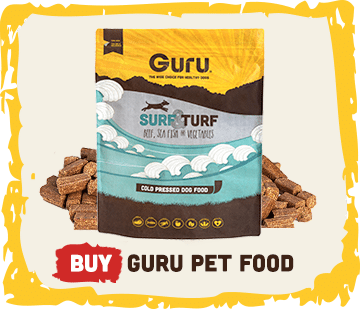 The Guru broke down completely, the kibble had expanded a huge amount and was still floating around, this is one of the things that always worried me about kibble. You need waaay less than regular kibble. As well as high grade meat, it’s got lots of great additions like green lipped muscle, which is super good for your hounds joints. 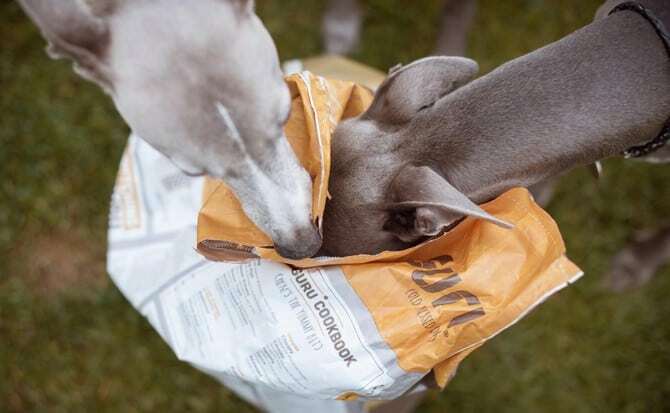 I was a little worried about how the hounds would react to being fed dried food, I needn’t have worried, when the Guru arrived they tried to eat through the box! Even Boo, who is normally a little high and mighty had a go. Our first test was a weekend away in the Cotswolds. On the first night, we made a bit of a mistake and fed it completely dry, I think the hounds thought we had given them a bowl of amazing treats as they inhaled them within seconds. We were a bit more intelligent on the second night; although Guru can be fed dry, we took the advice that we got from them on an alternative way to feed, mixing Guru with water. 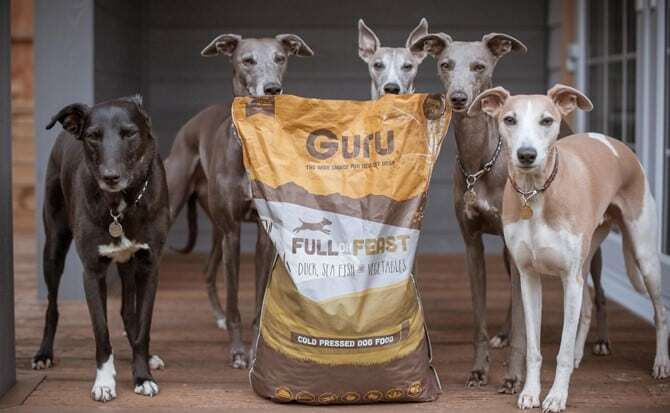 When you add water to Guru, the food breaks down it starts to look more like porridge, that worked and it took a lot longer for the hounds to eat. Now for the bit that somehow dog owners seem to be able to talk about within seconds of meeting – the bottom burps. I was frankly amazed that there were no room clearing incidents during the weekend, in fact, I still am. They drank more water than usual, but I knew to expect that, thanks to the great information on the back of the packet. We are off to Dorset for a weekend soon, and I am so glad that we have a great alternative to Raw to feed the hounds. They approve which means so do I. 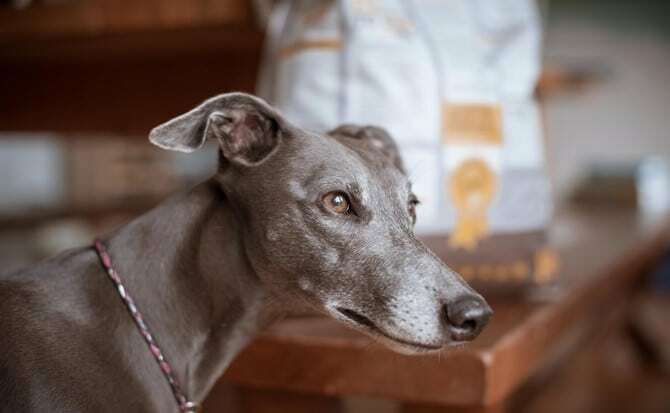 If you want to see more adventures with the Whippet Snippets, check out their Instagram & Twitter. P.s. How AMAZING is their mums photography?! Check out her website.